Elizabeth Herbert, wife of late ALL THAT REMAINSguitarist Oliver “Oli” Herbert, has implied that she hasn’t signed off on the release of one of her husband’s final recordings. Earlier in the month, a video surfaced of a cover of EURYTHMICS‘ ’80s hit “Here Comes The Rain Again”, recorded last year by Herbert and A DEAD DESIRE‘s Moroni Silva. Moroni finished the track after Herbert‘s death and uploaded an official music video for the track to YouTube on April 5. Earlier today, Elizabeth took to Oli‘s official Facebookpage to address the song’s release, suggesting that it was never authorized by her husband’s estate. “Hello everyone. This is Beth,” she wrote. “I am aware that something was released that contained my husband’s work on it that was not finished before his death. Oli was found dead last October 16 at the edge of the pond on his Stafford Springs, Connecticut property. He was reported missing by his wife about 3 p.m., and his body was found by police face down at the edge of the pond where the water was only a few inches deep. The Connecticut State Police Eastern District Crime Squad is investigating Herbert‘s death, which is being treated as suspicious. They are looking at the will he signed a week before his death as well as a life insurance policy mentioned in the will. Some fans have espoused various theories surrounding Oli‘s death and a Facebook page, Justice For Oli Herbert, has more than 12,000 followers. 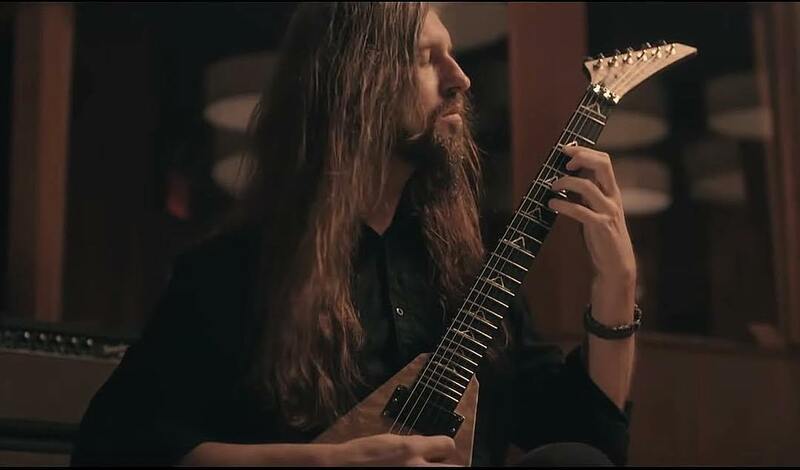 The surviving members of ALL THAT REMAINS — Labonte, Mike Martin (guitar), Jason Costa (drums) and Aaron Patrick (bass, backing vocals) — have recruited guitar virtuoso and YouTube personality Jason Richardson (ALL SHALL PERISH, CHELSEA GRIN, BORN OF OSIRIS) to replace Herbert.